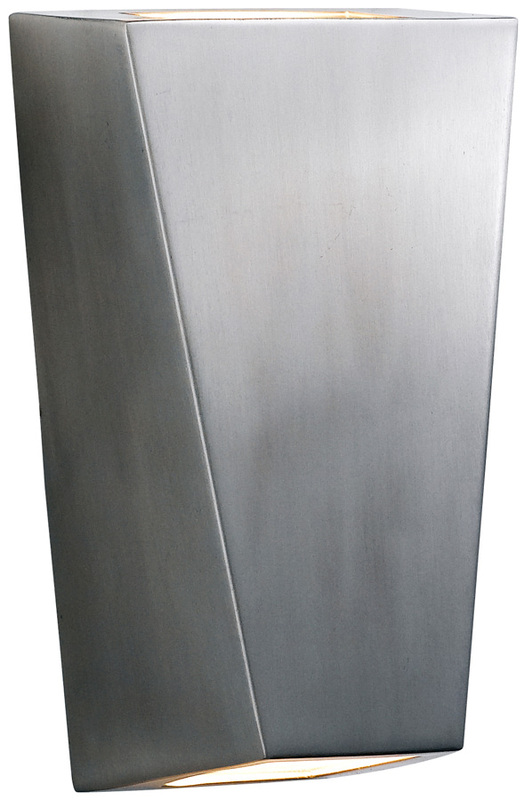 Modern angular design IP44 rated stainless steel outdoor up and down wall washer light. Rectangular wall mount, with a sloped stainless steel body containing an upward and downward facing GU10 LED spot light to wash the wall above and below with light. Energy saving 3w GU10 LED lamps are supplied with this outdoor fitting. Manufacturers three-year finish warranty.